Summer is my favorite time for citrus. This cookie can be anything you want it to be – fall, summer, spring or winter. You can use a seasonal jam like I did here with strawberry-rhubarb, or try these around the holidays with blueberry or a more traditional apricot. If you are interested in a great strawberry-rhubarb jam, my produce co-op can hook you up in the St. Louis area. You can buy jams from local farms as well as a HUGE box of produce from the website and pickup at the location closest to you. I save TONS of money buying their food in bulk like apples in the fall or strawberries in the spring and save a ton buying their produce baskets full of fruits and vegetables. It makes me think out of the box and helps me keep eating those healthy fruits and vegetables! Preheat oven to 350. Line cookie sheets with some parchment paper or silicone mats. In a great big bowl, beat the butter, sugar, zest and salt until light and fluffy - about 2 minutes. Add egg. Mix and scrape. Slowly add the flour in while the mixer is on low. Mix until it comes together. In a small bowl, mix your jam and filling enhancer or cornstarch and powdered sugar together. It will get cloudy a bit, but will cook nice and shiny. 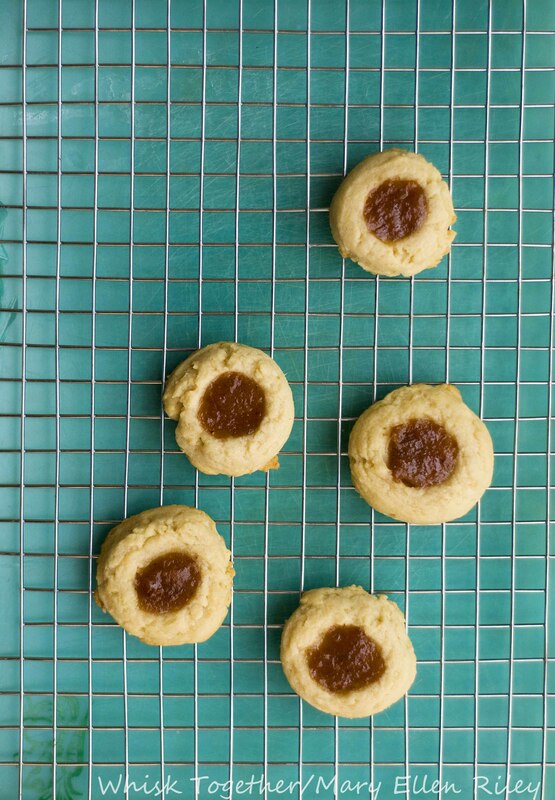 Using a small cookie scoop which should hold 1 tablespoon of dough, dispense dough balls onto the cookie sheet. Now, I took the back of my 1 teaspoon spoon and made indents into the top of each cookie. 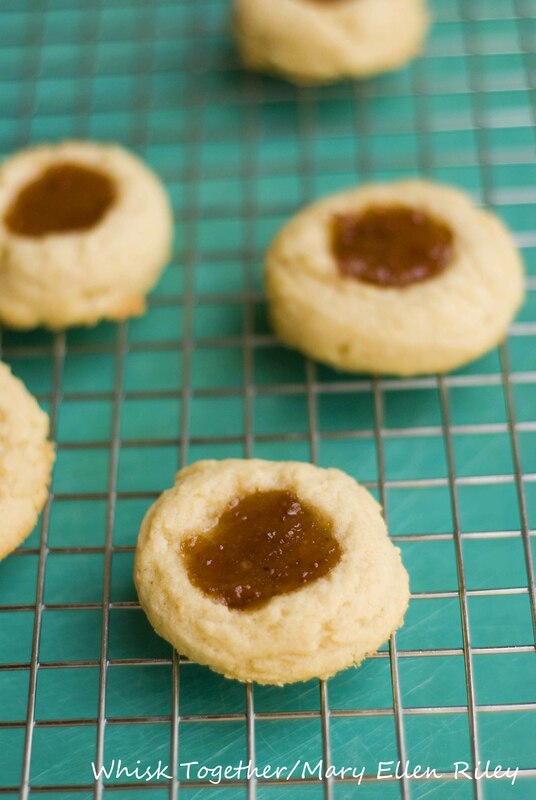 Then, I use the teaspoon to fill the cookies with 1 teaspoon of jam. Keep the cookies about 2" apart. Bake cookies 14-16 minutes. Cool and eat! For storage, since there is jam involved I refrigerate mine after 12 hours. The jam doesn't stick a lot, but to make sure I layer wax paper in between if giving these as a gift. For even more citrus flavor, I like to add 2 teaspoons of Wildtree Lemon Lime Cheesecake blend to the mix. It's just a really easy way to add more flavor if I don't have lemons or limes around. In a great big bowl, beat the butter, sugar, zest and salt until light and fluffy – about 2 minutes. Using a small cookie scoop which should hold 1 tablespoon of dough, dispense dough balls onto the cookie sheet. Now, I took the back of my 1 teaspoon spoon and made indents into the top of each cookie. Then, I use the teaspoon to fill the cookies with 1 teaspoon of jam. Keep the cookies about 2″ apart. For storage, since there is jam involved I refrigerate mine after 12 hours. The jam doesn’t stick a lot, but to make sure I layer wax paper in between if giving these as a gift. For even more citrus flavor, I like to add 2 teaspoons of Wildtree Lemon Lime Cheesecake blend to the mix. It’s just a really easy way to add more flavor if I don’t have lemons or limes around. 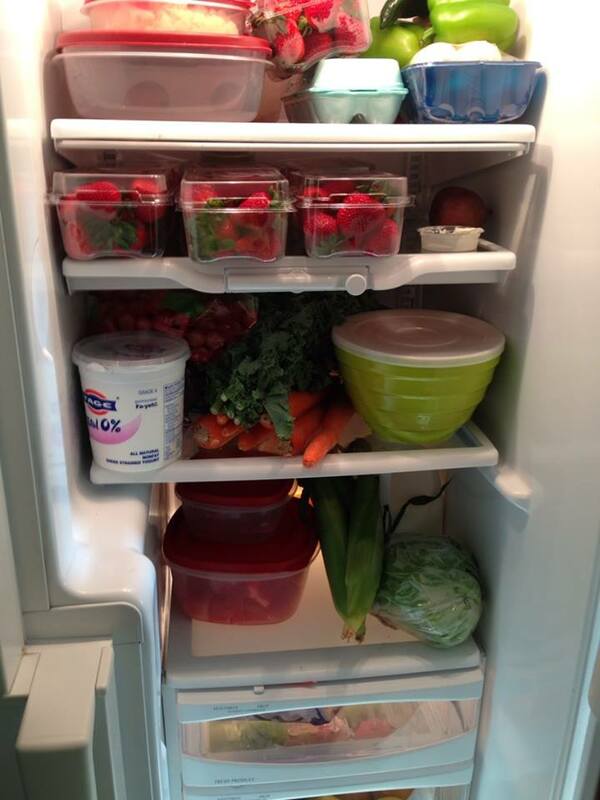 Girl – I’ve got the same fridge/space issue right now. I’m doing this eating plan that is forcing me to eat more veggies and fruit (totally a good thing!) and yeah…I’m running out of space. These look delish by the way and I misssssss yoooouuuuuu!